Back again – and still in an uber relaxed frame of mind with what seemed like very little done until I decided to start a post. My sewing mojo is still missing but I’m assuming that it’s a reaction to being obliged to ‘sew to order’ for so long. It will be back. I think. The Management and I spent a lovely few days early in the month in London. This had been planned for an age so the fact that I was hobbling around in a protective boot wasn’t going to stop us – we just rejigged the plans a bit. What noise does rain make? We started with a trip to the London Transport Museum. This was largely for himself but I really enjoyed it. This was helped by there being a lovely art exhibition called ‘Sounds of the City’. Loads of gorgeous pictures but I particularly liked this one – I’m still wondering what noise rain would make when you drag something across it. Any ideas? The other great find was a picture depicting my closest city – Worcester! I’m a bit put out that the resident inland seagulls aren’t in there – they are definitely one of the most obvious noises almost anywhere in Worcester. They seem to be moving into Bewdley too so it sometimes sounds as though you are at the seaside here too. More pictures in the Flickr album. The following day was spent almost entirely at the V&A. We had members early entry into the Pink Floyd exhibition. This was well worth booking – and almost worth paying membership just to get in on a quiet time. The Management really enjoyed this, and I was surprised quite much I enjoyed too. I can’t claim to be the biggest Floyd fan – I do enjoy the music but it’s rarely something I pick out myself – but I thoroughly enjoyed the whole ‘art and music’ ethos that they seem to have. I have put more photographs onto my Flickr page here but for a quick squint here are three of my favourites. You have until 1st October if you want to get along to see this. Obviously as I was at the V&A I wasn’t going to miss the current Balenciaga exhibition. The Management went off to do his own thing while I spent time in here. I had just read the wonderful book Balenciaga, The making of a Master (HOW MUCH FOR THE BOOK !?!) so I was looking forward to seeing the actual garments. Sadly my pictures weren’t great but I have put a few here, and again a link to more on Flickr. I didn’t expect these inside the dress! All the tools necessary to be a Pressinatrix! It was pretty busy, and I was still in my boot, so I was running out of steam by the end of this exhibition. There were some fabulous garments – and videos running to show the method of cutting the patterns or adding the hidden support. All of the downstairs was dedicated to the man himself and was wonderful. Lots of inspirational garments – something which was born out when I got upstairs and found it full of garments inspired by him. Some were too close to being a ‘copy’ in my opinion but many were absolutely gorgeous – and although very different you could see the influence there. My favourite was probably the almost unwearable ‘snake dress’ – how gorgeous is that? ( I won’t be offended if you say not at all!). The exhibition is going to be in place until February 2018 so I am hoping to be able to go again and maybe get more out of another visit. Any sewing yourself Kim? Well actually yes. But only a little bit. I have been wearing a load of t-shirts (well, not just t-shirts if I’m honest) that are a bit too big and I have been getting a bit fed up about it. After all, I’m a bl**dy dressmaker! Anyhoo, I knew I had this fine jersey in the stash which had been waiting an unreasonable time to be made up and decided it was time. These have both been worn and washed multiple times now. Having a couple of well fitting t-shirts now just makes me aware of how big the others are. Prepare for a major clear out. That has been the only sewing I have done but I have actually done a fair quantity of knitting and have finished the Purl Soho Circular Yoke Summer Shirt. I used the cashmere yarn set that I bought at Colourmart a while back and I have to say I love it. It was a joy to knit (two strands at once makes it 4 ply) and was so light it seemed to last forever. In fact I had intended to blend the colours up through the yoke but ended up making it all in the mulberry colour. Sadly I have just realised I don’t have a picture so you will have to take my word for the moment about how lovely it is. As a fabulous finale to the month I went here……. …….to meet someone very special. No. I didn’t go on a bear hunt – I was searching a very different and altogether more secretive animal. More news in my next post. I haven’t been able to post recently – partly because I had nothing really to say, but also because I am still buried in client work. I did have a trip to Birmingham to buy supplies needed for said client work a couple of weeks ago and despite good intentions of buying NOTHING that would end up in the stash – even if only for a short time – I really couldn’t walk away from this…. I could barely believe it when I spotted a pile of fabric bolts that couldn’t be anything but Liberty (the name had been scratched off the end of the bolt) at £8 a metre. I’m not a big fan of fussy Liberty print but I really liked this one which looks a little like a sea shell – and as a bonus goes brilliantly with the orange twill which may become the Stacie jacket. I came away with the end of the bolt which was just under 2m for £12. Score. In addition I made a detour to the Birmingham City Library, which I had visited on the way to the theater a while ago, with all the necessary information needed to obtain membership. I was amazed on my last visit to see just what a large fashion/tailoring/dressmaking section they had. In the local library it is lucky to cover a shelf – in Birmingham it was two bookcases. Oh, happy Hoody. It was quite difficult to make the choice, but I knew I had to carry whatever was chosen back to the car park which was quite a way away. I eventually limited myself to the three on the right which I will review in good time. Despite still having lots which really needed to be done I escaped over the last weekend on a planned visit to my daughter in West London. The plan was a visit to the V&A and whatever else I could fit in. I did get to the V&A on Friday and managed to get round both Underwear, and Botticelli in the time available. Kate, at Fabrickated , has reviewed both of these exhibitions very well so I wont go over old ground. I confess that I wasn’t as impressed with either as I have been by other similar sized exhibitions at the V&A. Had I traveled only for this visit I may have been disappointed. On Saturday we decided to visit the Tower of London and Kensington Palace. The Tower is always good fun, and this time we went into the torture exhibits (yes, we really are little boys in real life), and the White Tower, but had to miss the crown jewels as there was a large queue and we wanted to eat! My main reason for wanting to visit Kensington again was that the Royal Rules exhibition had been renewed – so lots of new Royal dresses to be seen. Jess is very tolerant and came willingly (although as you can see she was probably happier at the Tower!) The dresses were fabulous, as one would expect of our Royals, and even though you may not actually ‘like’ them all it is almost impossible not to be impressed by the thought and work that has gone into them all. I think that over all I preferred this exhibition to either of the others this time. I have just made a slideshow rather than trying to put the pictures in individually so I hope you like it. I was absolutely exhausted after we got home and needed a little doze before going out to eat which my darling daughter documented on Twitter. Doh! The following day was spent at the London Marathon before driving home (which I documented on The Old Bat so I wont say more here) and getting stuck into the client pile again. Hopefully it will start to show signs of shrinkage soon! I went to stay with my darling daughter last weekend and managed two visits to the V&A to see the Alexander McQueen ‘Savage Beauty’ exhibition. Please don’t let the fact that it has taken me a week to get around to writing anything about this make you think it wasn’t any good. It was superb. Better than that even. If you have any chance of booking a ticket and getting to London do it. Sell your firstborn, or hock your husband – it really is special. I wasn’t able to take photographs as that wasn’t allowed but if you go here there are lots of fabulous pictures. Probably my favourite element of the entire show was the Peppers Ghost feature with Kate Moss which I understand closed the Widows of Culloden show. Spine tingling. If you click on the image you will (hopefully) be taken to the youtube video. In case you want to know what the wonderful haunting music is I can tell you that it is the theme from Schindlers List. I just loved it. Just in case you think I haven’t been doing anything this week I can confirm that my pattern blocks still fit, and when I get through the heap of ‘but I need it!’ stuff from my clients I will be charging on with something for me. I just need to get through this pile….. The term ‘Race’ is being used in it’s loosest possible definition here – may I explain why? I spent the weekend staying with my daughter Jess. I arrived on Friday afternoon which gave me enough time to go to the V&A Italian Glamour Exhibition, and also the Wedding dresses exhibition (sorry – no photographs. The V&A don’t allow photography or sketching in these exhibitions). I was welcomed back to the daughter with a fabulously healthy meal of vegetables with courgette ‘spaghetti. Sounds odd but I can confirm that it tasted fabulous. It is really wonderful to be cooked for by my daughter! Then the wheels came off. Big style. We opened a bottle of wine, which was eventually replaced, and might even have had a bit of another (yes, I know we are disgraceful) before falling into bed at about stupid o’clock. To be up for Parkrun at 7.15 am . Oh dear. 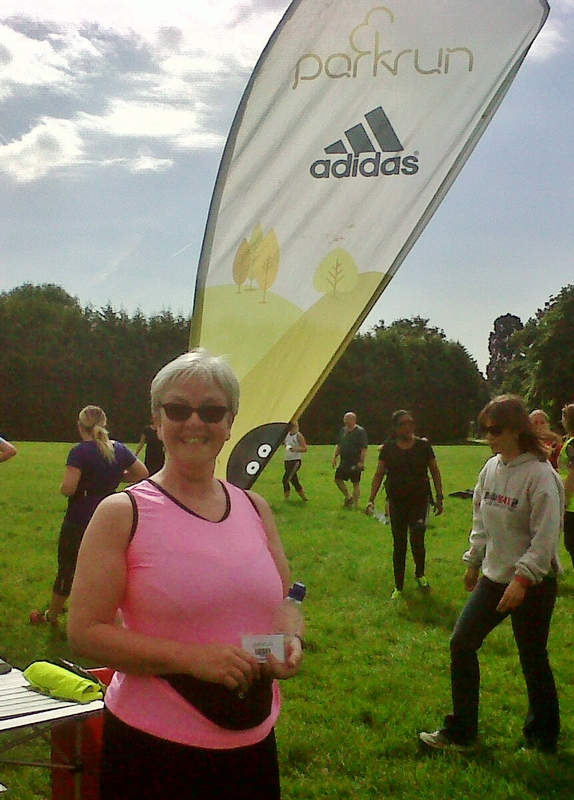 If you aren’t familiar with Parkrun I can say that the timed and measured 5k runs they organise on Saturday mornings, starting at 9 am , are friendly and very encouraging. I am not a great runner. I am not even a good runner. However, at the Worcester Parkrun I have been to previously I have been given nothing but encouragement, and so I was happy to give Jess’ local run at Gunnersbury Park a try. I knew we would be walking to the venue, I really should have asked how far before we set off. About 1.8 miles. Then run/jog/walk (or any combination of the three) your way round 5K/3.1 miles before the same walk home. On very little sleep and a hangover . It was never going to be a great result. However, I staggered my way round the full distance (I did consider ducking out at half way but knew Jess would not be best pleased if I did) and didn’t come in last. Result. No, I am not going to say how long it took but I will say that when I go back to do it again at Gunnersbury (and I will), and at future Worcester runs I go to, I will arrive better rested and without a criminal amount of wine the night before! Melissa’s XYT work out top (Details of my making it here, here, and here)was extremely comfortable, and I really enjoyed the sleeveless style on what was a very warm morning. The bright pink was probably not the most flattering shade for someone struggling as I was – matching face and sports top is never a good look! It will certainly be joined by a friend ASAP in a more flattering colour. 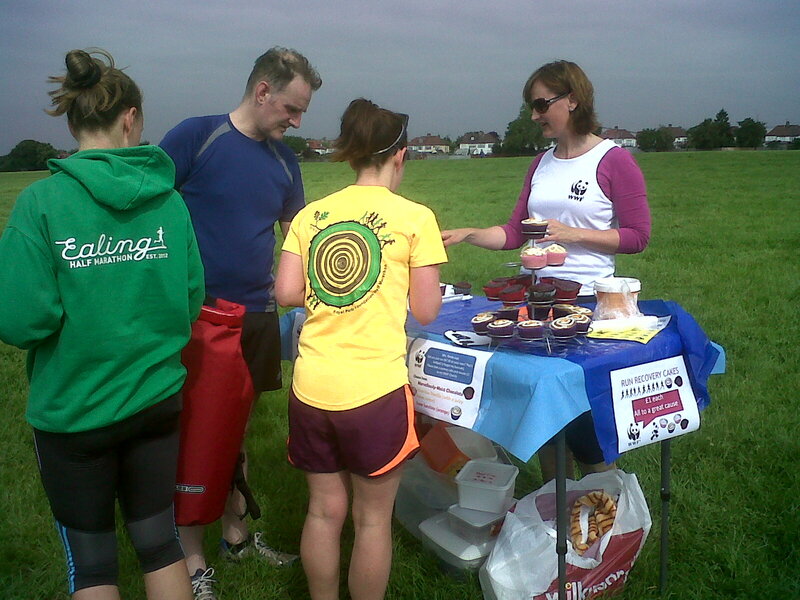 If you are looking for a nice top to wear at your next event – or indeed are looking for an event – I can recommend both Fehr Trades Exercise top pattern and Parkrun. P.S. I will be posting about another exhibition I visited in a couple of days – the Jean Paul Gaultier Barbican exhibition. They allowed photography without flash so I will organise the pictures before sharing. 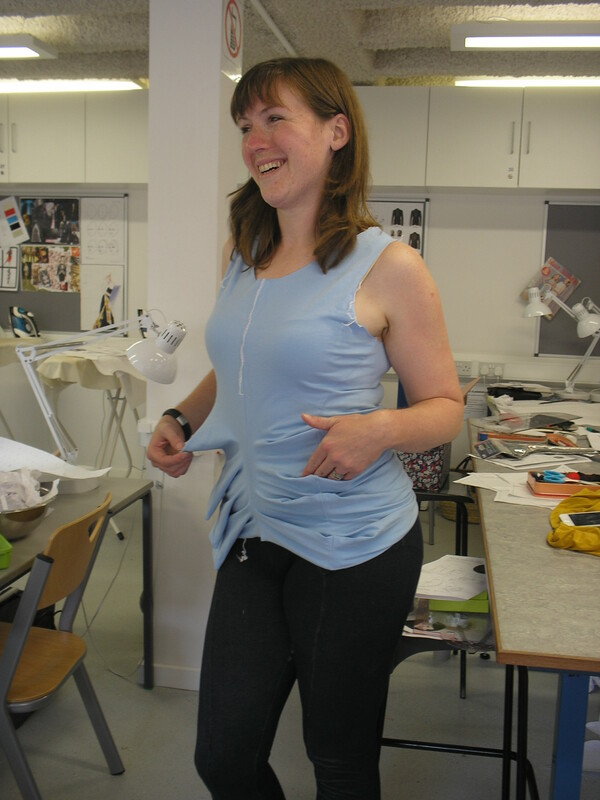 I am slightly sad to have finished the Pattern Magic Stretch Fabric course at Morley College now – it was such a good experience and a lovely group to be in. We all continued on Saturday morning cutting the pattern of our choice – Moni demonstrated the lovely Loophole B (which I have been admiring for some time) which several of us drafted. I was particularly happy because Claire had spent some time in the week between classes using her computer wizardry to grade the tiny Japanese sizes provided in the book up to a more ‘western’ size. It is actually quite sad to be a several ‘x’ l size when I have been working so hard at the gym to improve, but I was more interested in going home with a pattern I could actually use for myself. Thanks Claire! We all worked pretty hard, and got through vast amounts of pattern drafting paper in what was an epic cutting and sticking session! We were all so devoted we missed our break but were very much ready for lunch when the time came round. Melissa, Claire, Tracy and I went for lunch at Wahaca. I hadn’t experienced Wahaca before and thoroughly enjoyed lunch – and although we all ended up with unbelievably messy hands we managed to keep our clothes clean! Having completed our patterns after lunch we were all encouraged to toile as many different garments (as a class) as we could so that we got a wider overview of the work we had completed. I really wanted to make the pattern that would (I hoped) fit so I made Loophole B. Others made the crescent moon, Sharp and Snappy C, Apple peel leggings, and Jutting Edge. Sorry I didn’t manage to photograph them all. 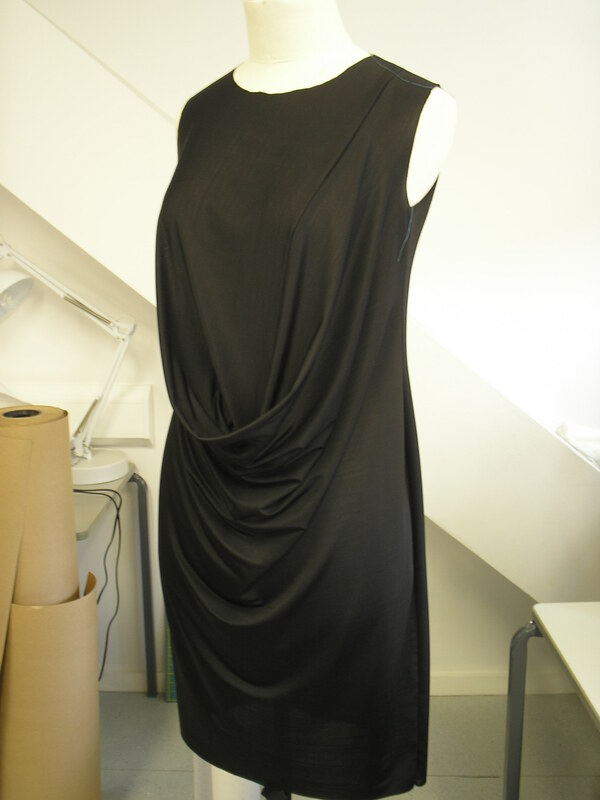 Moni sampled the Jutting edge dress and tucked the ‘jut’ inside to give a lovely cowl effect. It really made a different look and made the dress very desirable. I can see a few of these being made by the weekends students. Melissa made up the Sharp and Snappy C which looked really fun. She refers to this as the ‘Stegosaurus top’ which really works well as a description. By tucking the points inside you get a line of funny little pockets – useful on a night out. I presume you will be making this to wear on another occasion Melissa? As Claire had been so kind and allowed me to use her graded block it seemed only fair that she tried the Loophole B toile that I finished (we were using the same size). She looked better in the photograph than me so here she is! I really like this and will probably try it in another fabric that can be worn as a ‘real’ garment. Fun, different, but also very wearable. Thanks Claire! I have to make an apology, I didn’t get the name of the lady who made up the Crescent Moon. It looks really good from the front but there is a whole lot of fabric drooping on the back. 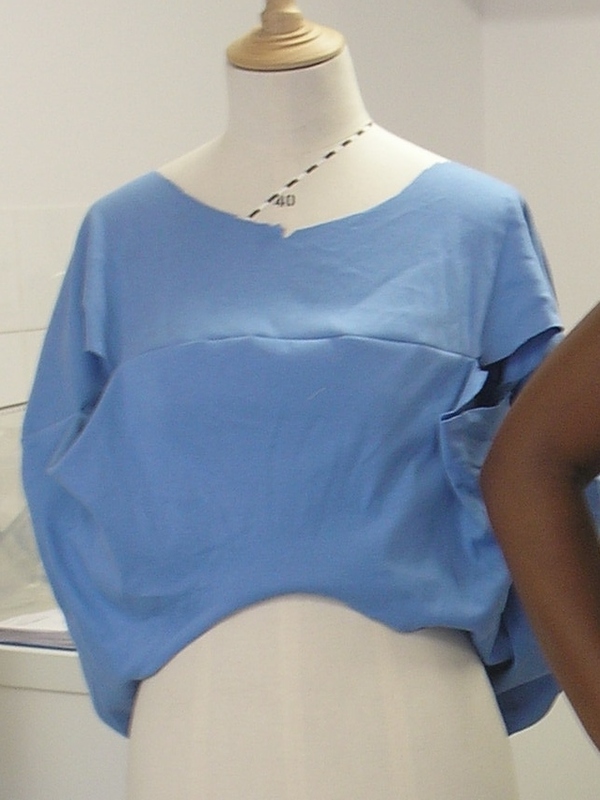 I am not quite so sure of it’s wear-ability now – but maybe in a very light fabric it would work better. It is such a simple idea, and very quick to make, that I may just have to try it sometime. This was a brilliant, and enormously enjoyable course which I am hugely glad I took. This book really holds no fear for me now, and I am much more confident about attacking any of the other patterns from the other books in this series. There are more Pattern Magic courses to be held at Morley next year, but I think I will have to wait until another book in the series is published before going back. Maybe I ought to try one of their other courses? 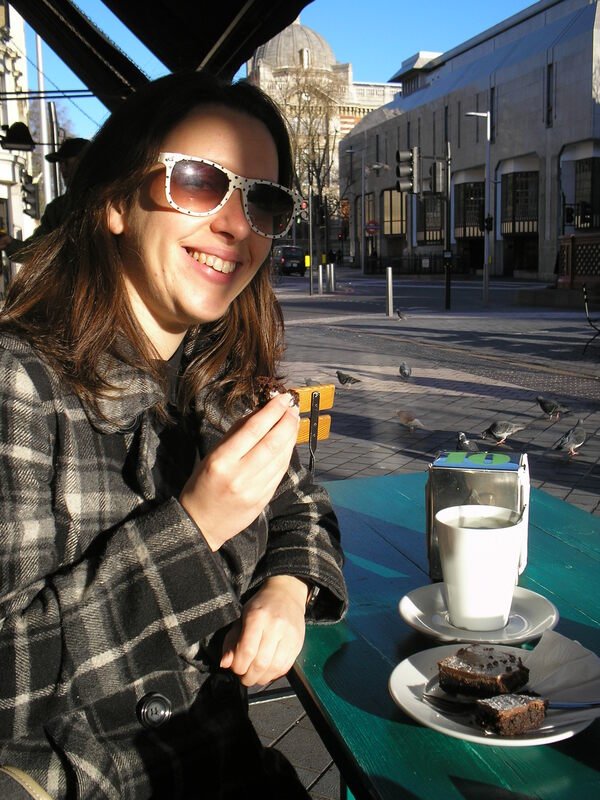 After the course finished I had tea with my daughter in her work break (Egyptian street food since you ask – very nice!) before going to see Gatsby in Leicester Square. What a great day. Sunday started early with a walk around Ealing, where my daughter lives, but I was unable to go far as I have a sore knee at the moment (more about that in another post – and yes, it is relevant to sewing). Darling J, who didn’t really cook at all when she lived with us, cooked me a lovely breakfast before we went to the V&A to see the Bowie exhibition. Boy, have I been looking forward to that! Inevitably it was packed full, so it was a bit difficult to see all the exhibits, but I really enjoyed it. There is almost too much to see – and I loved all of the costumes that were on show. Some of them were made by the Japanese designer Kansai Yamamoto, so I felt that this really tied the weekend together. There was one particular suit with pointed shoulders, in a brown(?) snakeskin effect which was so Pattern Magic I was stopped in my tracks. I have been trying to find a picture but have not been able to get one – and no photographs were allowed in the V&A so I couldn’t take it there. All wonderful. Go if you can before it closes. After enjoying all that the only thing to do was go and have lunch sitting outside in the sunshine, eating the best pizza that Ealing (and possibly the UK) has to offer at Santa Maria. So good, and heartbreaking that I couldn’t eat it all – but they did pack it to take away. I can strongly recommend a visit if you are in the area. I will be back for more next time I see my daughter! What a great weekend I had! 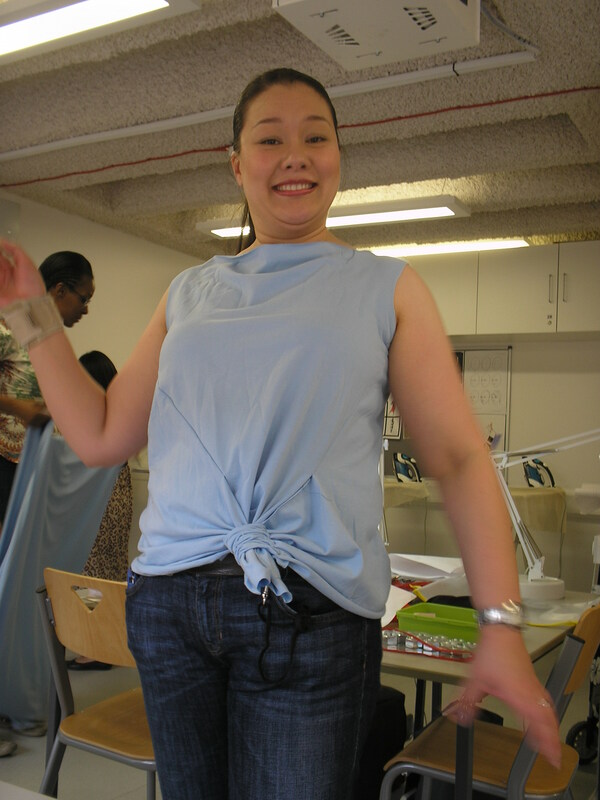 I attended the first part of the Pattern Magic course at Morley College last Saturday. Up until then I had admired, stroked, and generally enjoyed the Pattern Magic books but made no use of them. The pictures of all the garments are beautiful and very inspiring but the instructions were a bit intimidating. The tutor at Morley made the block (sloper) instructions understandable and I now feel that I can now make sense of the instructions to make the adaptions . We used the bamboo shoot adaption as an exercise in class and I was happy to be able to come away with the pattern ready to try at home. When I get the workload back under control I hope to make something to actually wear from this book. I will be back there for the second day of the course next Saturday and am really looking forward to it. One more class next Saturday which I am really looking forward to. I was really happy to be staying with my daughter because we planned to spend Sunday morning at the V&A to see their current ‘Hollywood Costume’ exhibition. We were unusually early and so stopped at a lovely cafe called Greenfields for coffee and pastries. It was amazing weather and although a little bit ‘chill’ we were able to enjoy our coffee outside in the morning sunshine. What a treat in November! The exhibition was great – I had seen some of the costumes previously at the exhibition held in Worcester Cathedral some time ago. The costumes are beautifully displayed and it is possible to see the backs of most of them (though often from a position further around the display) and I loved it. It would be impossible to choose a favorite costume as so many were just fabulous. Sadly, no photographs allowed so you will just have to go to see them! ( What a great excuse). I was amazed to find that this was my daughters first visit to the V&A despite living in London – but they have a new convert and she will be there many times more from now! I was able to take her up to the Theater and Performance area where she just loved the ‘Kylie Minogue dressing room’ display. 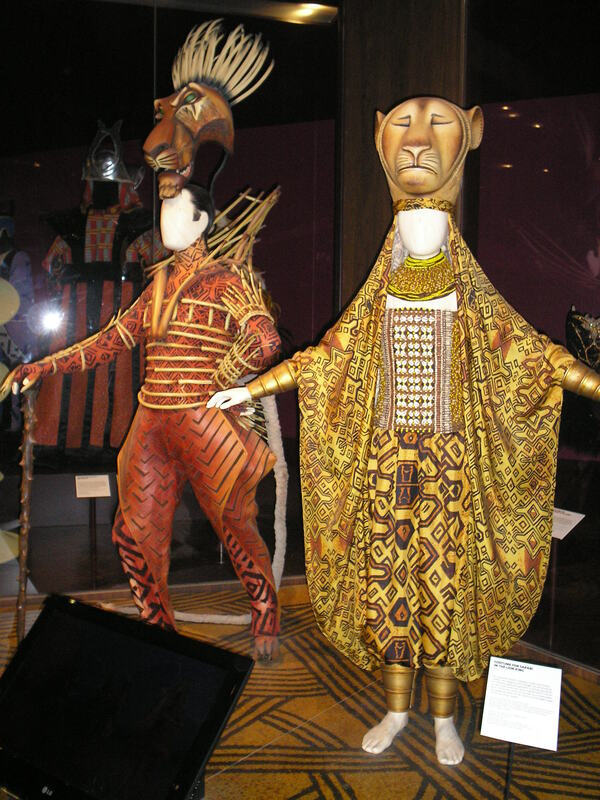 The Lion King costumes were still on display (and I have just bought a ticket to see the show in Birmingham next year – hurrah!) which was lovely. 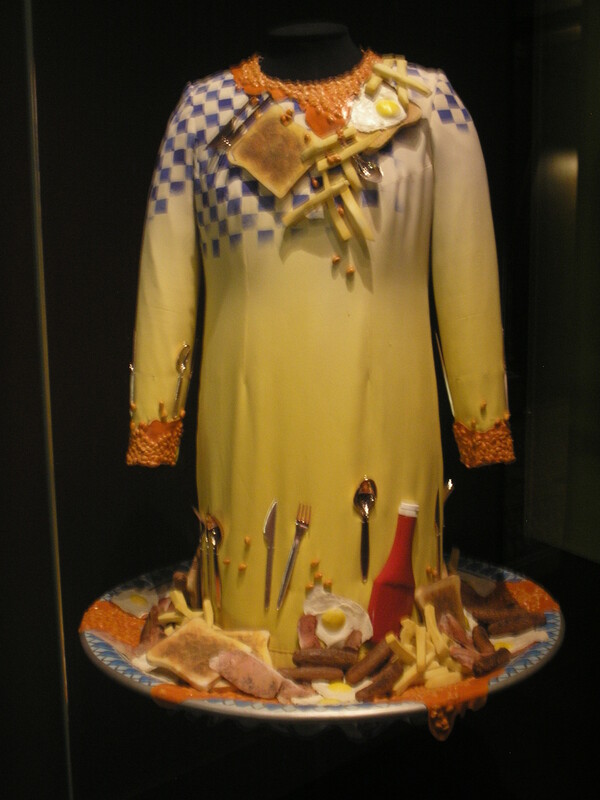 And just for those readers down under who I know enjoyed my last Dame Edna offering from the V&A – here is the wonderful ‘Breakfast Dress’!